With 26 studies on the good news in the Gospel of Luke, this Lifebuider guide is great for individuals or groups of new Christians. Good news. It was good news, not only of Jesus' birth but of what he offered to everyone throughout his ministry. To the sick he offered healing. To the hurting, comfort. To the outcast, acceptance. In this study you will discover that this message of hope and joy is for you as well. 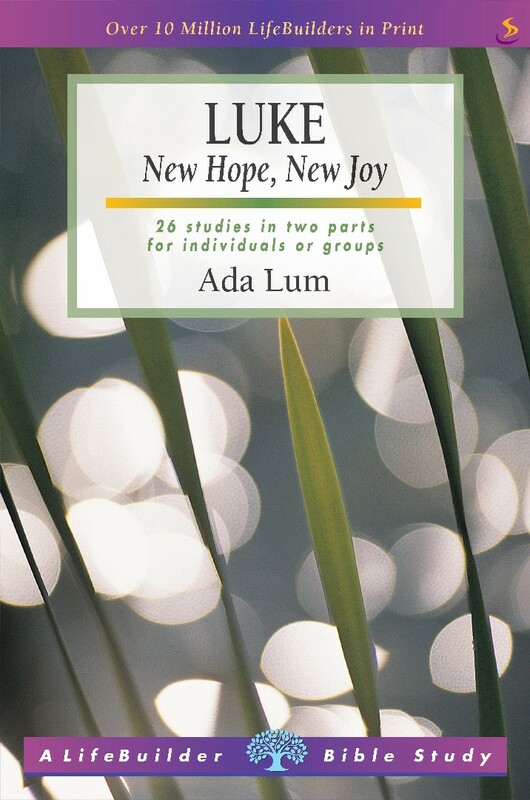 This revised title features questions for starting group discussions and for meeting God in personal reflection, as well as a "now or later" section in each study. This book contains twenty six studies for individuals and groups. Lifebuilder Bible Study: Luke by Ada Lum was published by IVP in January 2003 and is our 3096th best seller. The ISBN for Lifebuilder Bible Study: Luke is 9781859994870. Be the first to review Lifebuilder Bible Study: Luke! Got a question? No problem! Just click here to ask us about Lifebuilder Bible Study: Luke.